As we journey through the Gospel of Mark this lectionary year, join us and spend the afternoon reading and walking through the whole book together. We will lay out the map of Jesus’s home turf in our sanctuary and move through the story as we read. 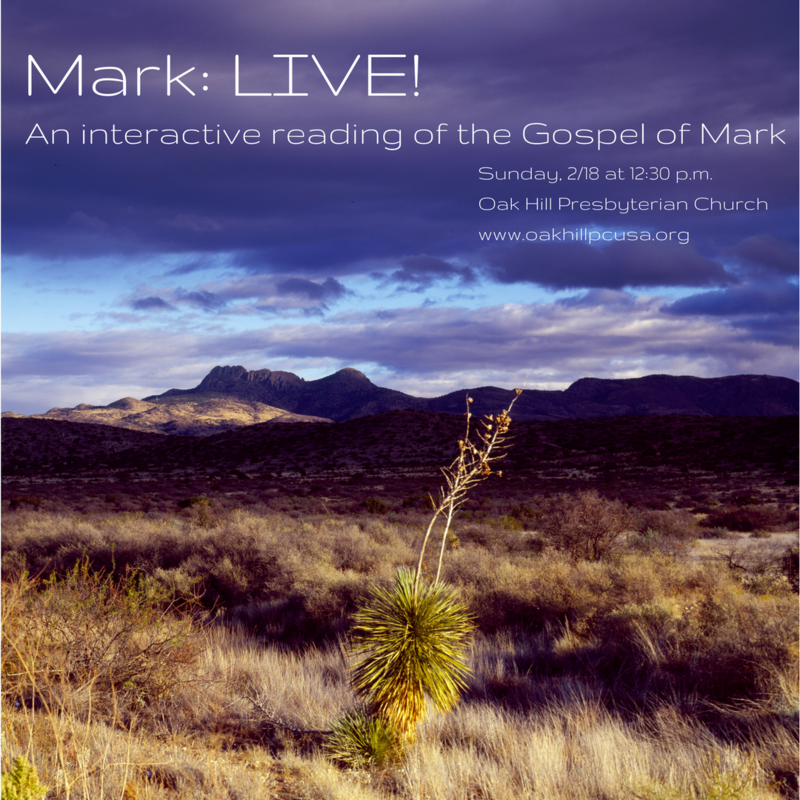 On Sunday, 12/18 at 12:30 pm, Oak Hill Presbyterian Church invites you to be a part of Mark’s whole story. Come and walk, read, listen, and experience.